When you order a meal in a restaurant, how can you be sure you get what you asked for? Most diners are completely oblivious as to what goes on in a restaurant’s kitchen. They order, eat and pay, with no clue as to where the food has come from. 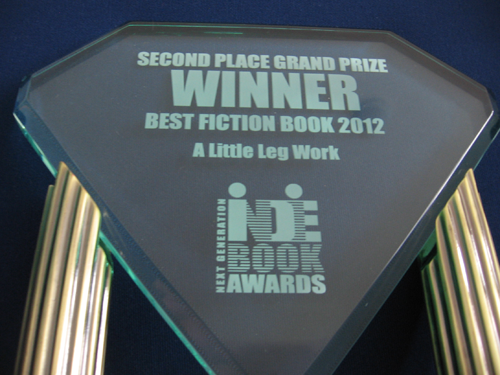 Runner-up overall in the 2012 Next Generation Indie Awards. When the Alfresco Paradiso turns to a new food source, it means a plate of meatballs will never be the same again. And while no one knows what the Alfresco’s chefs are up to, the public loves it and gobbles it up. A local detective (and weekend gourmet chef) tries to find out just what it is that makes the meatballs so good, while his brother-in-law, a journalist, smells a page one story. 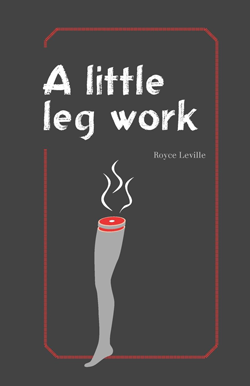 Royce Leville’s debut novel pushes the boundaries of taste and the limits of traditional narrative style. 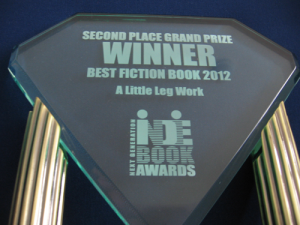 Replete with footnotes, multiple narrators, gristly scenes and thousands of satisfied eaters, A Little Leg Work will disgust, intrigue, amuse and offend, and leave you salivating for more.